If you were to turn on the news on any given day, you might think that the United States is in the midst of a race war. Talking heads argue incessantly on network news channels. Troubling statistics are prevalent, unconstitutional policies persist, and people take to the streets protesting alleged race-based injustices. Instructive to this conversation is tragic story of Dred Scott v. Sanford, which reminds us, despite progress yet to be made, just how far this country has come since the 19th Century. Dred Scott was born into slavery. Having spent the first thirty years of his life as the “property” of the Blow Family, in 1832 Scott was sold to Dr. John Emerson, a surgeon in the U.S. Army. Emerson was frequently assigned to new posts, taking Scott with him. These areas included many free states and territories, including Illinois, Minnesota, and Wisconsin. In any of these states and territories Scott could have claimed his freedom. But for reasons unknown, he never did so. Having legally married his wife Harriet (even though slave marriages had no legal sanction; evidence later alleged by Scott’s supporters that he was being treated as a free man), and having had three children (only one of which survived), in 1843 Dr. Emerson died and left his estate, including the Scotts, to his widow. After numerous attempts to purchase his and his family’s freedom were rebuffed, Scott and his abolitionist supporters began the fight for his freedom. There were years of legal proceedings in both state and federal courts. First Scott lost, then he won, then he lost again…twice. Finally, the case reached all the way up to Supreme Court. And did the Court grant Scott his freedom? No. Scott had argued that his having been taken into states and territories where slavery was prohibited had rendered him free. But writing for majority of the Court in what has become one of the most infamous opinions in history, Chief Justice Taney held that persons of African descent and “imported” into the United States to be sold as slaves could never become part of the political community formed and brought into existence by the United States Constitution. According to Taney’s reasoning, because Scott was not (and could never be) a citizen of the United States, he could not claim any of the privileges or immunities of citizenry, one of which was bringing a suit in federal court. In a nutshell: Scott lacked standing. Further, Taney held that slaves were private property over which Congress had no power to regulate (Scott had argued that the Missouri Compromise, which outlawed slavery in the northern part of the Louisiana Purchase, had conferred him citizenship rights), or “take” under the Fifth Amendment‘s Takings Clause without due process of law. These conclusions are shocking, not only in light of subsequent history and current social mores, but in light of the Court’s decision in United States v. Amistad, only sixteen years prior, that a group of African slaves who were being transported illegally to the United States (slave importation became illegal in 1808) that staged a violent uprising were not slaves but “free negroes” who were “asserting their freedom.” What made Scott different? That he had resorted to the justice system rather than force of arms to acquire his freedom? 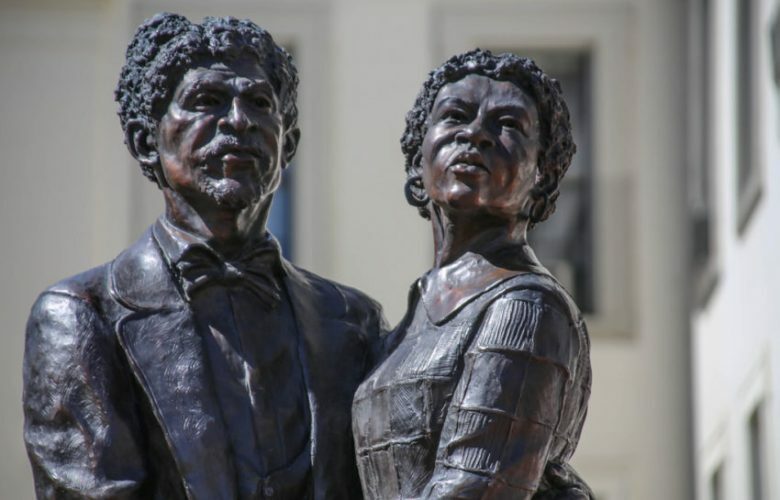 The Dred Scott decision stands as a stark example of political motivation masked as judicial decree at best, and judicial abdication at worst. In another example of giving undue deference to democratic majorities, simply because they are elected, Taney writes that “[i]t is not the province of the court to decide upon the justice or injustice, the policy or impolicy, of these laws. The decision of that question belonged to the political or law-making power; to those who formed the sovereignty and framed the Constitution. The duty of the court is, to interpret the instrument they have framed, with the best lights we can obtain on the subject, and to administer it as we find it, according to its true intent and meaning when it was adopted.” While judges should confine their analyses to the written text of the Constitution or other laws, where possible, they should also recognize their role as the unique protector of individual rights. What makes the Court’s decision in Scott even worse is that Taney explicitly recognizes that the Declaration of Independence, including the unalienable rights to Life, Liberty, Pursuit of Happiness, and Equality “seem” to embrace “the whole human family” (they do). But then ignoring (or ignorant of) all evidence to the contrary, Taney writes that because many of the Founders were slave owners, they could not have possibly meant the Declaration to apply to all men at all times. Adding insult to injury, Taney then purports to rely upon two clauses of the Constitution to reach his nefarious conclusion, neither of which explicitly supports his point. After the Court’s ruling and through other means, Dred Scott and his family acquired their freedom. But for the decision, however, they and a great many others could have avoided further subjugation to the horrors of slavery, and the course of the country might have turned out quite different. The United States subsequently fought a Civil War (what some have described as the last battle of the American Revolution) over the issue of slavery. We enacted the 13th Amendment, outlawing slavery, the 14th Amendment, guaranteeing all civil rights and equal protection for former slaves, and the 15th Amendment guaranteeing the right to vote. We then fought a Civil Rights Movement, which saw the end of racial segregation as it was previously known, the integration of public schools, and at present more equality and opportunity for African Americans in the United States than at any point in our country’s history. While the United States still arguably has a long way to go to ensure that all people, no matter their race, are held equal before the law within our shores, we have undoubtedly made great strides since Dred Scott and the 19th Century. Dr. Martin Luther King, Jr. once said that “The ultimate measure of a man is not where he stands in moments of comfort and convenience, but where he stands at times of challenge and controversy.” We can only hope that in future times of challenge and controversy, which will no doubt come, that we as Americans, and the courts of law with us, will have the strength and courage to uphold the ideals of liberty and equality upon which this country was founded.